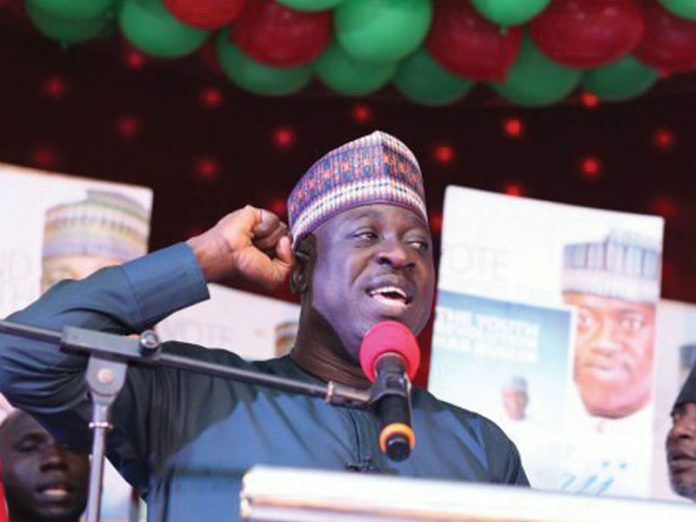 The ancient town of Ilorin, Kwara State capital, last Wednesday witnessed an incredible crowd that converged at the Arca Center, venue of the declaration of a former Minister of Youths and Sports, MalamBolajiAbdullahi, for the governorship position of the state. Abdullahi, fondly called “Omoluabi” by his supporters brought class, glamour and an intellectual slant into his declaration with the level of support and solidarity showed to him. The crowd which consisted mainly members of the Peoples Democratic Party (PDP) across the 16 local government councils of the state, trooped out en masse to lend support to the aspiration of the immediate past National Publicity Secretary of the All Progressives Congress (APC). Before the event, MallamAbdullahi had held series of consultations with a spectrum of stakeholders across the state especially, the youths, women, artisans, teachers, pensioners and members of his party, PDP across 193 wards in the state, where he intimated them of his aspiration to be governor of the state in 2019. Some of the responses to his consultations were believed to have opened his eyes to a few of the things the stakeholders want and other challenges of the state in his pursuit to taking the state to another level. After successfully consultating with critical stakeholders across the state, Abdullahi decided to put in his declaration and by implication, intimate the people of the state about his plan, which is geared towards moving the state forward. Presenting a blueprint for the governance of the state despite not being the candidate yet is believed to show that he is fully prepared to take the state to an all-new level of growth that would go a long way in adding deserving values to the wellbeing of the people of Kwara. Besides, the attendance of the crème of PDP stalwarts in the state especially, members of Saraki’s political dynasty showed where the pendulum may ultimately swing in the choice of PDP’s governorship candidate. In attendance were the Secretary to the State Government (SSG), AlhajiIsiaka Gold; chairman of the PDP Council of Elders in the state, Alhaji Kola Yusuf; former Nigerian Ambassador to the Netherlands, Dr. Nihinmota Akanbi; former commissioner for Health, AlhajaAyinkeSaka; Alhaji Saliu Agaka; former member of House of Representatives member, Hon. Yunusa Yahaya; seven members of the state house of assembly; 10 serving local government council chairmen; former commissioners, PDP leaders, youths, women and artisans alike. A few of the PDP leaders, who spoke at the event, eulogisedAbdullahi for being a good ambassador of the state wherever he found himself. According to them, he is a person that is forthright, loyal and trustworthy among others. The leaders also added that he showed his loyalty to leader of the state and Senate President, Dr. BukolaSaraki, when there was friction between Saraki and former President Goodluck Jonathan in 2014, because according to them, he could have chosen to stay in office as minister, but he resigned instead and followed Saraki, who afterwards defected to APC. 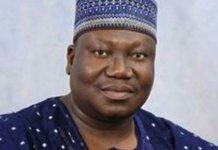 Apart from this, they also cited his recent resignation as National Publicity Secretary of the APC following the defection of Saraki to PDP, noting that, “With this singular loyalty of MallamAbdullahi to the leader and other attributes of good virtues, he is deserving to be the next governor of Kwara State come 2019”. The programme was also witnessed by various entertainers especially the artistes, who came in large numbers to add colour to the event. In his declaration speech, Abdullahi said he was inspired to join the race of his passion to provide purposeful and impactful leadership that would improve the lots of the people, explaining that the central agenda of his government would be youth-inclusiveness. “The greatest investment the government can make is to make the youth productive. That’s why my number one, two and three agenda is on youth development, because if we do not solve the problem of the youth, we cannot talk about development. The vast majority of our population is young people, to harness their potential, we must provide them with quality education,” he said. He stated that as a child of poor parents, who hawked food in the streets of Ilorin, he knew what it was to be poor and suffer lack. The governorship hopeful contended that the greatest freedom the people of the state desire is improvement in their quality of life and wellbeing. He contended that there was no doubt that the youths remain a major factor in the socio-economic growth of any society hence all hands must be on deck to ensure its development and growth. He explained that he took the issue of youth development as a great challenge during all his previous political positions, stressing that if the state must witness great development and growth, the issue of youths development must be on front burner. “Even during my consultations across all the wards in my constituency in Ilorin West Local Government Council Area of Kwara State, all the people I have seen were young people between age 0 and 19 and without being fully engaged. I have taken it upon myself that youth development would be my main priority, because if we start building schools, health institutions, construction of roads, among others without tackling the problem of youths development, it will be a serious challenge to move the state forward. “Our youth demography can yield the expected dividends only when we are prepared to make the required investments that would discover, tap and channel their massive potential productively. When our youths are fully developed and engaged, the propensity to develop our state in the areas of social amenities and other infrastructure would have meaning and this will help us to move the state into greater heights among other states of the federation. 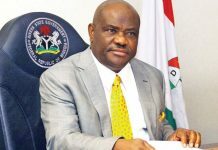 “I want to tell you by the grace of God that if given a chance to lead our state come 2019, youths will be educated and their skills will be improved, thereby creating employment opportunities for them, because if we fail to do this, the youths will fight back and this will not help the state,” he said. Abdullahi, therefore, pledged that his administration would provide qualitative education, health, agriculture, sport, local industries, mining and infrastructure among others to accelerate the economic growth of the state. 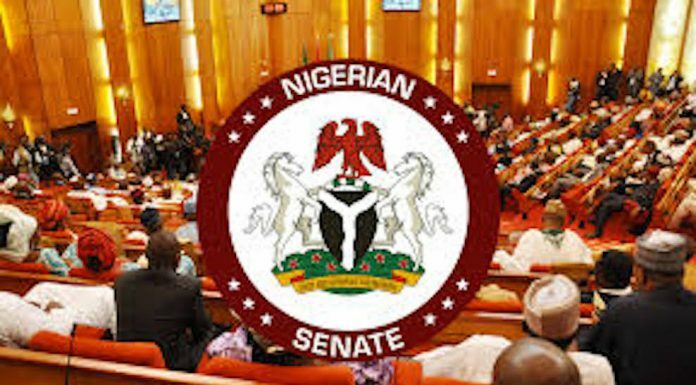 He advised those opposing the leadership of the Senate President in the state to have a rethink and support his (Saraki’s) ideas of leadership in order to move the state forward, noting that Saraki’s leadership had empowered the less-privileged in the state. Speaking at the event, Chairman of the MallamBolajiAbdullahi Campaign Organisation, Mr. AbiodunAsonloko, described Abdullahi as the most prepared aspirants amongst the PDP gubernatorial hopefuls. “MallamBolajiAbdullahi is the first gubernatorial aspirant that made his manifesto available even before he becomes the candidate of the Party. This is an indication of good things in the offing for Kwara State,” he said. 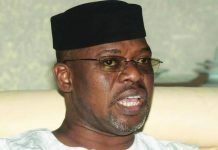 With the declaration of Abdulahi, otherwise referred to as Omoluabi, for the governorship of the state, the stage is now set for the contest within the PDP, which political pundits believe might swing in the way of Abdullahi in view of his contributions to the development of the state at all levels and at all times. But clearly, one thing Abdulahi’s declaration has done is that it has successfully unsettled Kwara’s political firmament and made his opponents jittery. That is not to say, however, that the last has been heard as far as the jostle for the soul of Kwara is concerned.